Superdry women's Blake lace midi dress. 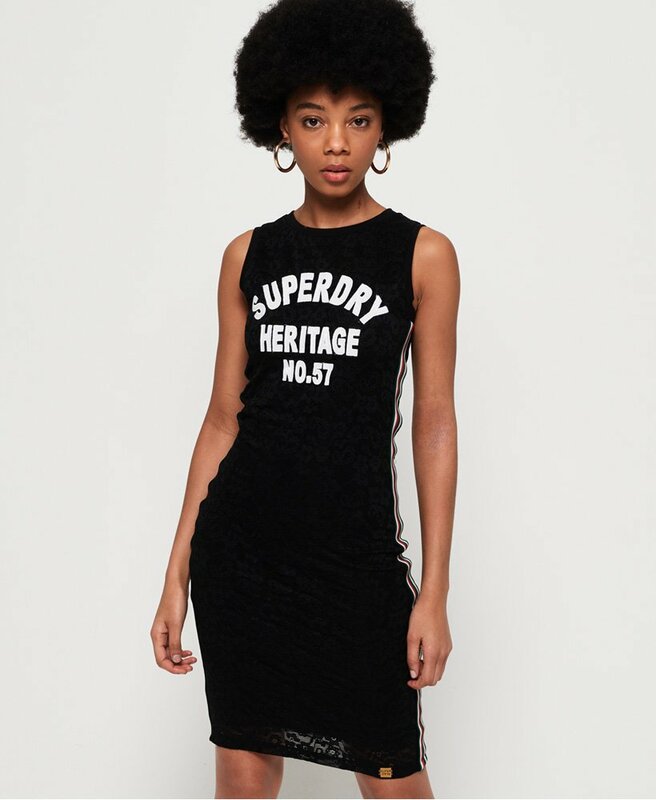 This fitted midi dress features an all over lace design, elasticated stripe detailing down the sides and an applique Superdry logo across the chest. Finished with a Superdry logo badge above the hem.